The Rev. 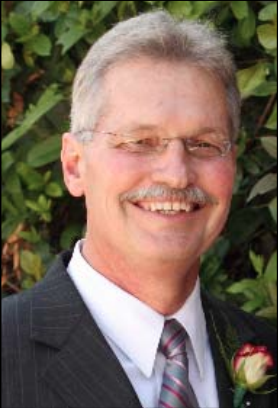 Dale Paulsen, 67, pastor of a California Church and former youth pastor at Noroton Presbyterian Church, died in a car accident on Sunday evening, hours after he had announced his retirement after 23 years at the Morro Bay Presbyterian Church. Paulsen, who had been youth minister at the Noroton Church from 1977 to 1980, was walking in a nearby community when he was struck by a hit-and-run driver and killed, the San Luis Obispo County Tribune reported, citing a California Highway Patrol report. Morro Bay and San Luis Obispo County are on the Pacific coast, about half-way between Los Angeles and San Francisco. 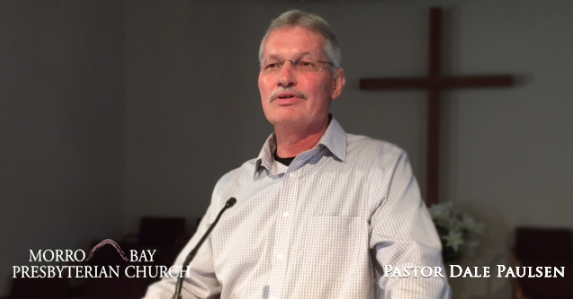 Dale Paulsen, pastor of Morro Bay Presbyterian Church and former youth pastor at Noroton Presbyterian Church. He was pronounced dead at the scene, according to the Tribune. Although the driver fled, California authorities later charged a 24-year-old woman who they said was driving a Toyota pickup truck while intoxicated. Paulsen, who loved playing basketball, was out walking at about 5:30 p.m. that night, Sunday, Nov. 18 because he had injured himself and was trying to strengthen himself so he could return to the sport as soon as possible, according to another report in the Tribune. He played in a men’s pickup league, Church Elder Erica King told the newspaper. Paulsen had announced he would retire in early January, 2019. He leaves behind his wife, Emily ,and three sons — the eldest, Andrew, born when Paulsen was serving in Darien — as well as his daughters-in-law and grandchildren. The Rev. Dale Paulsen in a picture published in The Spire, the Noroton Presbyterian Church bulletin, in 2013. “Rev. Paulsen and his wife Emily came to Darien in the summer of 1977 to be the new youth pastor and to be Assistant Pastor to the newly hired Reverend Ed Danks. Both Ed and Dale were from southern California. “Dale and Emily restarted a youth ministry that had been non-existent for 10 years. Middle school and high school groups grew to more than 40 kids and activities were planned with the Young Life Club which together involved over 100 kids for some events. “Youth events included ski week trips in Vermont and New Hampshire, summer camps in New Hampshire and a mission trip to Georgia for a week. Many weekends were spent with youth learning about Jesus and church membership. Paulsen’s funeral is scheduled for 11 a.m., Saturday, Nov. 24, at Morro Bay Presbyterian Church. Enrique Smeke, a Christian Science teacher, will give a talk titled “Are Your Ready to Take the First Step,” on Saturday, April 27 at Norwalk Community College. — an announcement from the First Church of Christ Scientist in Darien His lecture focusses on how to turn to God and choose the best approach to handling every challenge that confronts us in our daily experience.